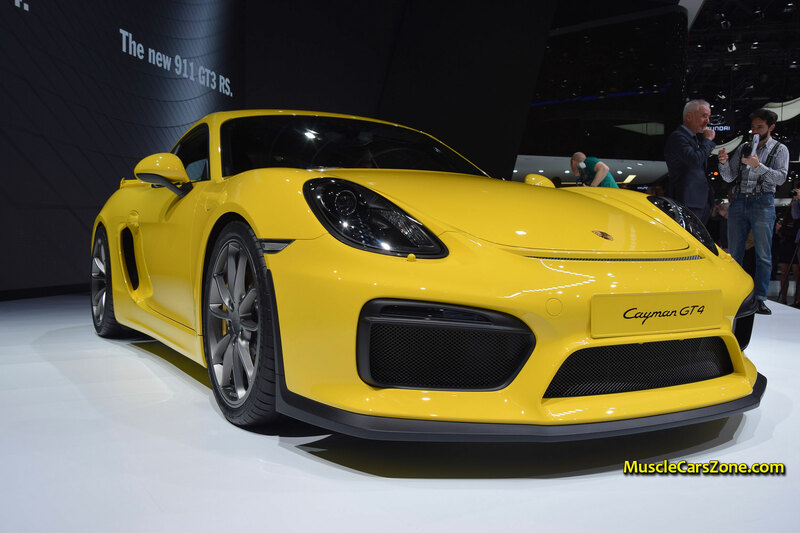 2016 Porsche Cayman GT4 UNVEILED @ 2015 GENEVA! - Muscle Cars Zone! We are here again with something interesting for you guys! We have prepared an exclusive video of another unveiling at Geneva that will not leave you indifferent! 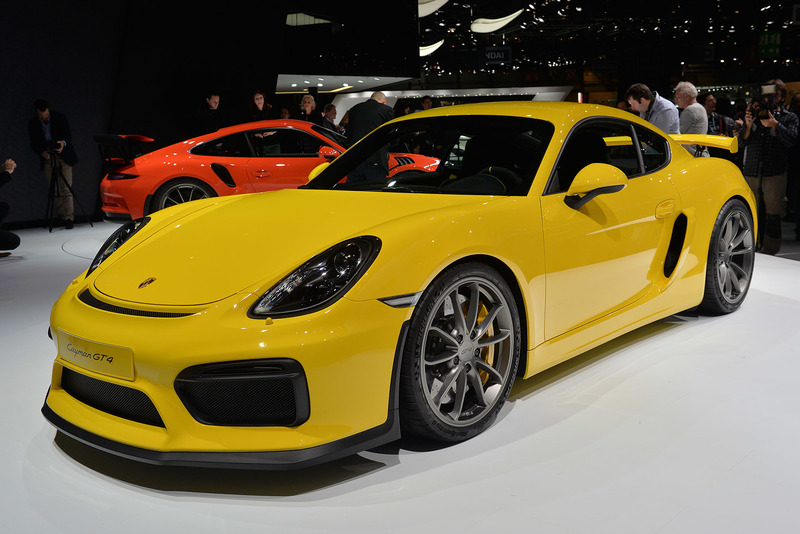 We are talking about the 2016 Porsche Cayman GT4!!! Information about this BEAST leaked couple of days ago, but it is the best to see it from the actual scene! 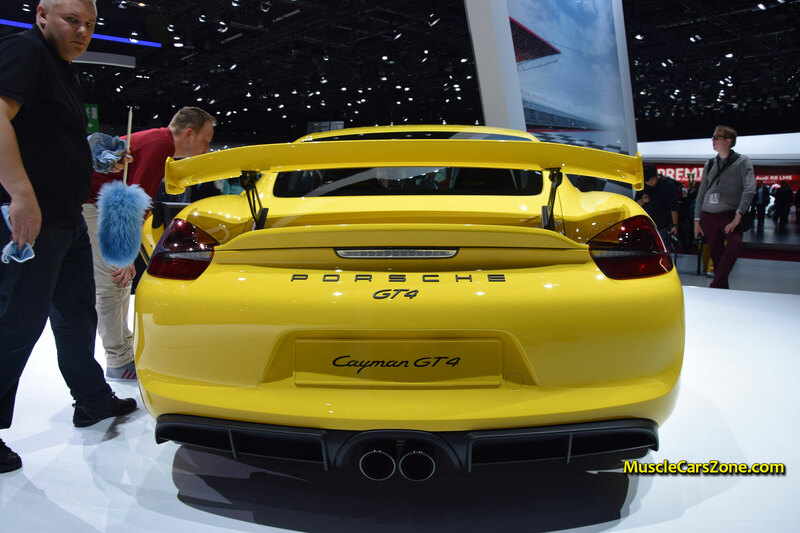 However, Porsche fans describe this one as a mini-911 GT3 with the difference that it has a 6 speed manual transmission and not a dual-clutch job! Yes, you read it right, this Porsche Model is a conventional manual! The 3.8 L, mid-mounted engine is responsible to deliver the 385 horsepower! The engine will also guarantee an acceleration from 0 to 60 in 4.2 seconds hitting a top speed of 183 mph! Driving is left to the rear wheels, on the other hand! 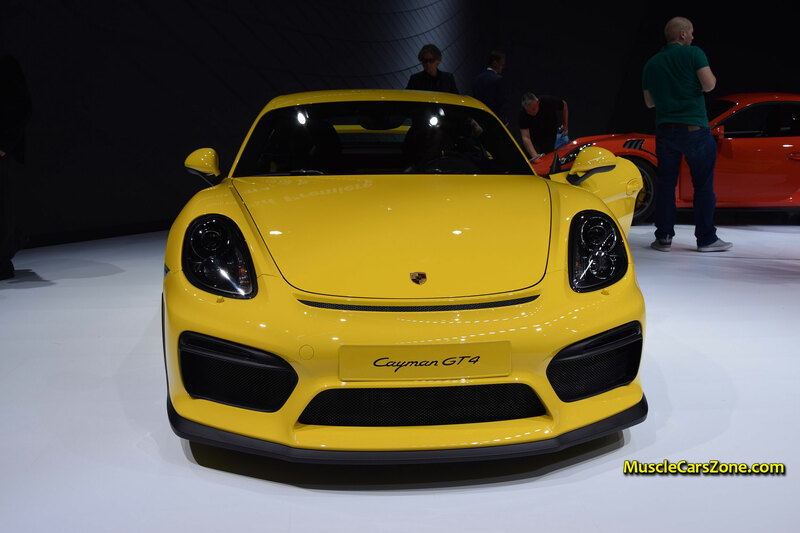 Stay with us for more info from 2015 Geneva Motor Show!!! To watch the video, go below the Photo Gallery! 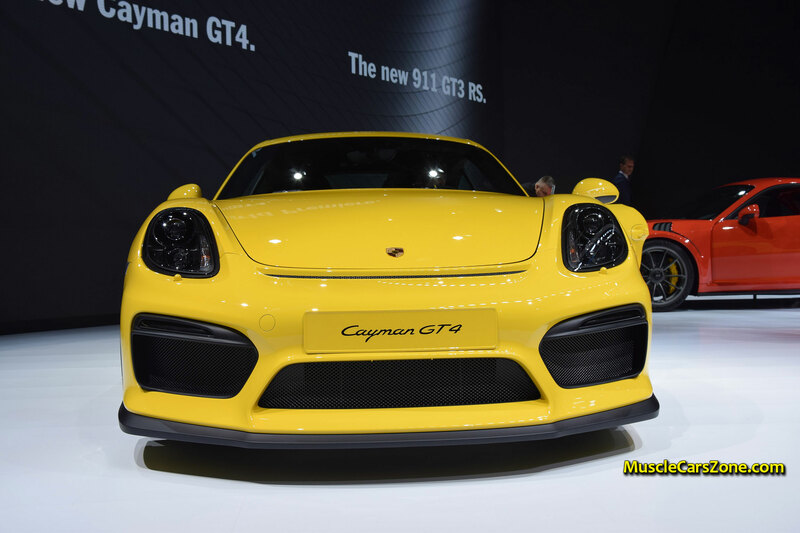 On the other hand, let’s remind ourselves about the 2014 Cayman!